We love Hot Seat Drawings…and from what we hear, you do too! 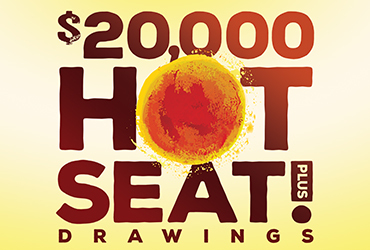 All month long we’ll have hot seat drawings Thursdays from 2 p.m. to 8 p.m. to award up to $200 in free slot play. We’ll draw a winner from slots every 15 minutes and from table games on the 45 of every hour.